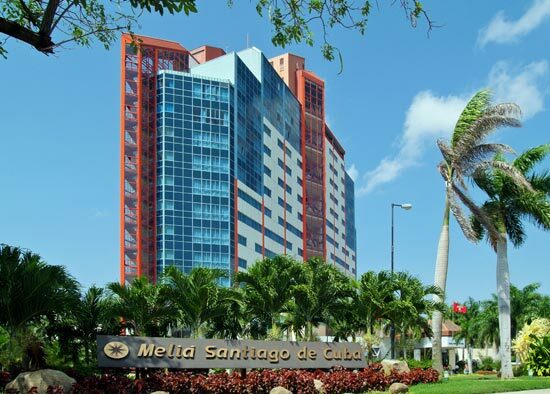 The Meliá Santiago de Cuba hotel is located in the heart of the most Caribbean city of Isla Grande, in one of the most elegant areas of Santiago de Cuba. Right on the busy Avenida de las Americas. One km from the International Hospital and the Convention Center, 1.5 km from the shopping mall, 2 km the historical city center, 11 km distance from the Internation Airport Antonio Maceo, and 25 km distance from the beach. Daytime and evening entertainment program with dancing lessons, shows, etc.